Warfare in Feudums will be slightly different than most strategy games. The actual fighting occurs off screen. You’ll see ongoing battles marked on your map and after each tick of the game, you’ll see a recap of what happened. 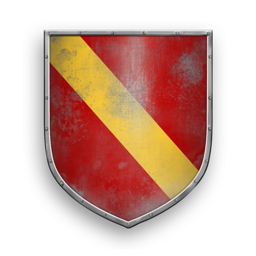 Battles can take several ticks, allowing you to retreat, reinforce with additional units or even reach out for help from your banners and allies. The game promises to be faithful to the real-life conditions surrounding warfare in the Middle Ages. Players won’t be able to build up a huge army and slog their way to the crown. Instead, most players will use their allies and vassals to fight quick battles during times when crop planting or harvesting won’t be affected too badly. Another realistic touch, if you call up your peasants to make your army and things go south, you can’t just bring up another automatically. Those field hands and blacksmiths are gone. But using your serfs is just one method of pulling together an army. Players will have plenty of options to choose from when building their army. The easiest and quickest way to pull together troops is to call up the serfs who make up your work force. In Feudums, this is calling your levies (lances) up. The available unit types, their experience, weapons and armor all depend on how well-developed their home feudum is. Those units can then be placed into Companies, placed on the map, and sent forth to crush your enemies. As I noted earlier, the easiest and cheapest method for a lord to get soldiers is to summon his lances. Lances are levy soldiers, mustered for a limited time from local commoners of a feudum, led by a noble vassal. If the lance perishes, the enlisted population is lost and the related feudum will suffer. Lances are obliged to answer a call to arms, they are fairly cheap, and fast to summon, but cannot be kept as a standing army – they’ll disband on their own if they aren't released once their military service is fulfilled. Lances include the most powerful unit in the game - Castellan's Lance (an elite Knight unit/the Lord's guard) - and also the weakest – Armed Peasants. The second way to increase your army is to recruit Squads into your service. Squads are bands of Mercenaries and are the opposite of Lances - they are professional, specialized soldiers, making war for a living, led by sergeants and a company captain. Mercenaries are expensive to train, expensive to keep around, and, unless you contracted a Mercenary Band, training them takes a lot of time. However, in return what you get is not simple devoted amateurs but quality, deadly, all-day soldiers. Once on your payroll, they are the perfect choice as a small standing army. Mercenaries include specialties like light and heavy cavalry, heavy infantry or archers. What's the downside of using mercs? Besides the fact you can field an army of lances at the same cost of a single mercenary squad, let's just say, mercs really don't like late payments. Make sure you have plenty of gold in the coffers. Complicating war planning are unit edges. Certain units have a natural edge, or advantage, against specific opponents. And don’t forget terrain and seasonal modifications. Every aspect of your units, your enemies’ units, the ground they are fighting on and the season plays a part in the outcome of the battle. But the biggest factor on any battle's outcome might be which lord has the best social network. In a real feudal world, networking matters. The feudal system of Vassalage is a way to support the equivalent of an army in a non-cash economy. And it is a reality in Feudums. When at war, call your banners (other players that are your vassals) to support your military campaign and boost your numbers. You can be sure your opponents will be doing the same. War is certainly no easy business in Feudums. To help manage your military adventures, Feudums will build in a war-planning tool. Players who are either allied or share the bond of an Oath of Fealty will be able to share war plans right on their game maps. Players will be able to note marching routes, rally points, and targets so you can be kept up to date for as long as each war plan remains active. You can even send a company to a marching route - for yours, or an ally’s or your liege’s - and forget them - they’ll just follow the marching orders, even if those are changing during the military campaign. Just make it sure that ally or liege is a capable general. The game is balanced to mimic the early medieval period. Keeping a standing army wasn't common practice at the time, so Feudums will favor the more authentic military campaign-based thinking over the classic "build a bigger army" approach. As each player progresses, he can slowly train and keep a small cadre of professional soldiers at his call but lances, generally affordable and easy to summon - but painful to lose - will remain the backbone of every army. “War is a continuation of politics by other means,” Clausewitz famously said. In Feudums, using your military will be just one way to reach your goals. But while it may be a single strategy, the decisions you make on how to build and when to use your army will reverberate throughout the entire game.